I hope you all had a wonderful summer! Our current newsletter provides an overview of the CHRC's efforts to promote social justice through outreach and education, research, and advocacy efforts. Most recently, the CHRC's work has been addressing violence against children in homes and schools, the crisis of unaccompanied children at our southern border, and the intersection of health, the environment, and human rights. These diverse efforts represent both local and global issues - from the impact of harmful toxins in our homes on children and families, to the conditions driving thousands of children to leave their country to seek protection. We seek to engage students, faculty, and our partners to address these important issues, as well as opportunities to learn more. Please take the time not only to review our newsletter, but our website and Facebook page for ongoing information about our work, our partners, additional resources, events, and cutting edge news and information about children's rights. The Convention on the Rights of the Child (CRC) requires states to take "all appropriate legislative, administrative, social and educational measures to protect the child from all forms of physical or mental violence, injury or abuse, neglect or negligent treatment..." The Committee on the Rights of the Child, as well as several international and national advocacy organizations, has stated that legal and social acceptance of physical punishment of children, in the home and in institutions is not compatible with the Convention. Research has shown that corporal punishment can have long-term, destructive effects on children. Preventing corporal punishment from occurring can be the first step to addressing other forms of violence against children. Currently, however, 19 states in the US still condone the use of corporal punishment in schools. In response, on May 23-24, the CHRC and partners hosted a symposium engaging 100 different scholars, students, educators, advocates, policy makers, health care providers and faith/community based organizations from around the country to learn more about current research and advocacy efforts, and to engage in strategy sessions to end corporal punishment in homes and schools in the United States. Several pioneer activists against corporal punishment in attendance were honored with a lifetime achievement award, including the CHRC's Senior Faculty Fellow, Dr. James Garbarino, and co-sponsors of the symposium, Dr. George Holden, Southern Methodist, University and Dr. Gertrud Lenzner, Brooklyn College CUNY. Visit our website to read more about "Creating a Non-Violent Future", view speaker presentations, and how you can learn more about the movement to end corporal punishment. We would like to extend our gratitude to Dr. George Holden from Southern Methodist University (pictured left) for his collaboration and partnership to make the symposium a success. We would also like to thank Loyola's student volunteers who graciously volunteered their time during summer break - Kelly Duffy (School of Social Work), Mayra Salamanca (School of Social Work), Rachel Clarke (School of Social Work), Ava Lewis, and Amber Kiani. To read more about the outcomes of the symposium and the ripple effect it has created, view the U.S. Alliance to Stop Hitting Children webpage. Co-sponsors of the symposium were: Loyola University Chicago's Stritch School of Medicine and School of Education, Southern Methodist University's Simmons School of Education & Human Development and Dedman School of Law, Children's Studies Center at Brooklyn College CUNY, Family Health Network, Community Care Alliance, Hartgrove Hospital, PsycHealth Ltd., and Infant Welfare Society of Chicago. Pictured top right: (Left) Gertrud Lenzer, PhD, Director, Children's Studies Program, Brooklyn College CUNY, recipient of lifetime achievement awards, and (right) Katherine Kaufka Walts, JD, Director, Center for the Human Rights of Children, Loyola University Chicago. Awards reception. Indoor environmental hazards in the home harm millions of children and families each year. Dust, mold, pests and lead can pose far greater risks to children's health than outdoor exposures. On June 19, the CHRC, CURL, Civitas ChildLaw Center and IES hosted a countywide summit, Advancing Healthy Homes & Healthy Communities, to educate stakeholders about the consequences of toxins in the home, as well as to brainstorm interventions and actions steps to move forward. 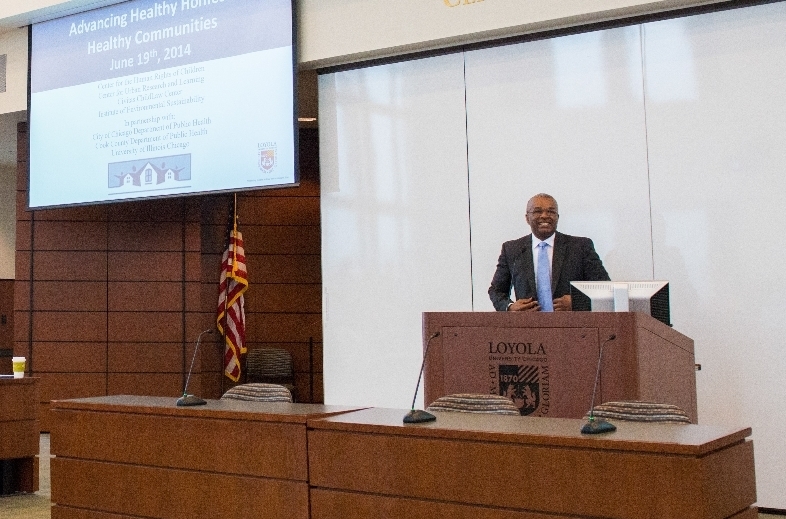 Loyola University Chicago welcomed 150 guests who participated in presentations and workshops to inform strategies to make Chicago and Cook County healthier for children and families. and the US Environmental Protection Agency. Stay tuned for a forthcoming report outlining the proceedings of the summit and next steps. For more information about the initiative, please see http://luc.edu/healthyhomes/. Human trafficking is one of the most lucrative criminal enterprises, and affects both US citizens and non-US citizens. Children are particularly vulnerable to this heinous crime, involving the commercial exploitation of boys and girls. 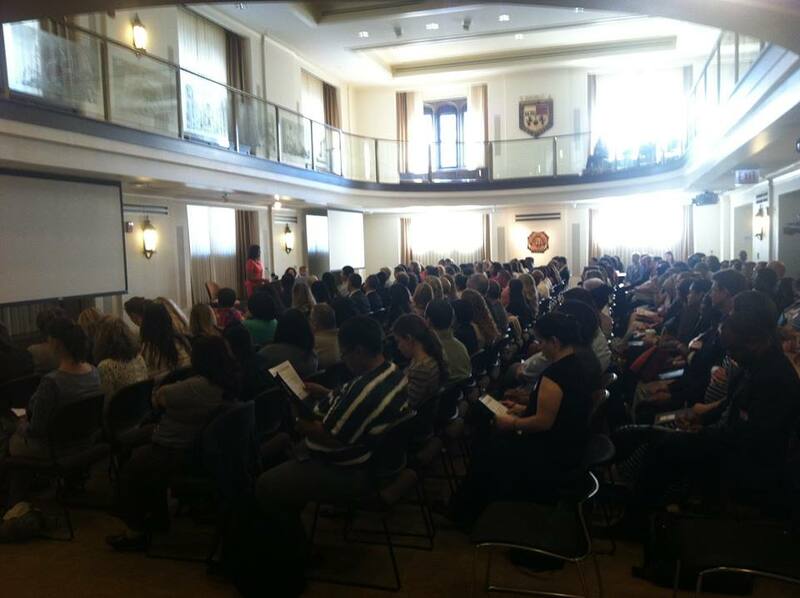 On August 14-15, the CHRC hosted the 4th Annual Cook County Human Trafficking Task Force (CCHTTF) conference. The conference, organized by the CCHTTF, included 300 participants, including local and national human trafficking experts. Cook County State's Attorney Anita Alvarez (pictured above), US Attorney for the Northern District of Illinois, Zac Fardon, and CHRC Director, Katherine Kaufka Walts, provided opening remarks. Presentations addressed the issues of intersection of human trafficking and gangs, trafficking of minors, promising practices in hospitals to identify trafficked persons, and current practices. In a recently published Chicago Reader article, "In Chicago's war zones, the tragedy extends beyond the kids who die", Dr. Garbarino was quoted on the effects violence has on children, specifically those in Chicago. In the 1980's Garbarino observed 3 and 4 year olds playing "funeral" regularly. Garbarino said "They would make a coffin out of their blocks, and take turns being the dead child and the grieving parents." Trauma "has these profound effects that can start very early in life, but that are often dismissed." Helping elementary-aged children process and understand violence in a developmentally appropriate manner, "Let's Talk About Living in a World with Violence" workbook by Dr. James Garbarino has now been translated into Arabic by the Sharjah City for Humanitarian Services. Dr. Garbarino will present a workshop in Dubai in September to support the use of this workbook in the Arab world. In recent months, the crisis of unaccompanied children at the US border has gained the attention of the media. Over 60,000 unaccompanied children have been apprehended at the US border. Children are fleeing extreme violence, gang activity, and deprivation, and are seeking reunification with family members. Unfortunately, many of the "solutions" proposed this summer sought to undermine existing legislation to protect vulnerable children, including those who are trafficked. The CHRC responded to the US government proposals to address the issue with a developmentally and research-informed letter sent to the White House, leaders of the Senate, and Illinois Congressional representatives. Read more about the recommendations and see a copy of the letter here. CHRC Director, Katherine Kaufka Walts, recently interviewed by Fox News Chicago about the children at the border. She stated, "They're seeking safety. They're seeking sanctuary. And they are children who deserve protection. This is a humanitarian crisis. This is a human rights issue. This is a children's rights issue. This isn't about illegal aliens. It's about vulnerable children." View the full Fox News interview here. View the Bloomberg article where Katherine Kaufka Walts, among other experts, identifies solutions to the humanitarian crisis of children at the border here. The CHRC encourages its faculty, students, and partners to engage their respective professional organizations and disciplines to conduct similar education and advocacy on behalf of unaccompanied children. For example, Dr. Garbarino recently joined efforts with the Interamerican Society of Psychology to establish a task force to look into the situation of the thousands of children and adolescents from Central America who have been detained at the border to the US. Stay tuned for a public, on-campus educational event on the humanitarian crisis of unaccompanied minors taking place this November. On June 20, 2014, CHRC Director Katherine Kaufka Walts attended an invitational event at the State Department for the release of the the 2014 Trafficking in Persons Report. The report assesses the response to human trafficking by governments around the world. Speakers included Secretary of State, John Kerry, Ambassador Lou CdeBaca, and Under Secretary for Civilian Security, Sarah Sewall. The participants included members of Congress, governmental agency leaders, advocates, services providers, and other leaders in the anti-trafficking movement from the US and other parts of the world. For more information about the CHRC's work on this issue, including the creation of the first interdisciplinary course on child trafficking and exploitation in the country, and a shadow report on child labor trafficking in the US submitted to and presented before the United Nations Committee on the Rights of the Child, see www.LUC.edu. View the CHRC statement in response to the 2014 Trafficking in Persons Report. 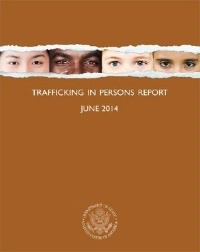 View the 2014 Trafficking in Persons Report here. The report "offers a roadmap for the road ahead as we confront the scourge of trafficking" - John F. Kerry, Secretary of State. Earlier this summer, Dr. James Garbarino, CHRC Senior Faculty Fellow, represented the Center in a case of alleged psychological maltreatment of children by a Kindergarten teacher in the Chicago Public School System. Dr. Garbarino reviewed the testimony offered by the children and provided expert advice on the meaning of psychological maltreatment in this case. The outcome was a positive one for the students and parents in this case. In 2011, the International Organization for Adolescents conducted a needs assessment of orphan and vulnerable youth aging out of formal in Ethiopia, identifying the risks and needs of orphaned adolescents and their transition to independence. In partnership with Loyola's CHRC, data collected from focus groups with young adults aging out of orphanages was analyzed. 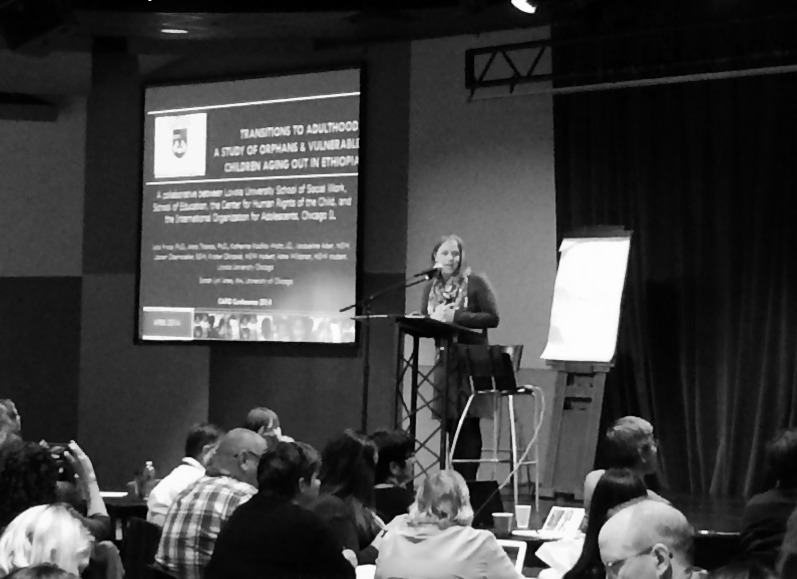 On May 1-2, CHRC Summer Faculty Fellow Dr. Julia Pryce (pictured on the right) and her students attended the Christian Alliance for Orphans Summit. They presented their collaborative project, Orphan Youth Project: The Transitions Initiative Case Study. Students from the University of Chicago and Loyola University participated in the conference. Publications from this project are forthcoming. CHRC Director, Katherine Kaufka Walts (pictured left), presented at the annual Freedom Network USA Conference on April 1-2 in San Francisco. The Freedom Network USA is a national coalition of anti-trafficking service organizations and advocates. Ms. Kaufka Walts spoke on the legal needs of unaccompanied, foreign national minors who are survivors of trafficking. Over 300 participants attended the conference, including representatives from government agencies, academia, social service agencies, faith-based organizations, non-profit organizations, and advocacy organizations. In April, Dr. Garbarino (pictured right) presented two workshops on "The Developmental Origins of Violence," one in Johannesburg and the other in Capetown. He will be returning to South Africa in August to continue his support for professionals and child advocates dealing with violence issues. 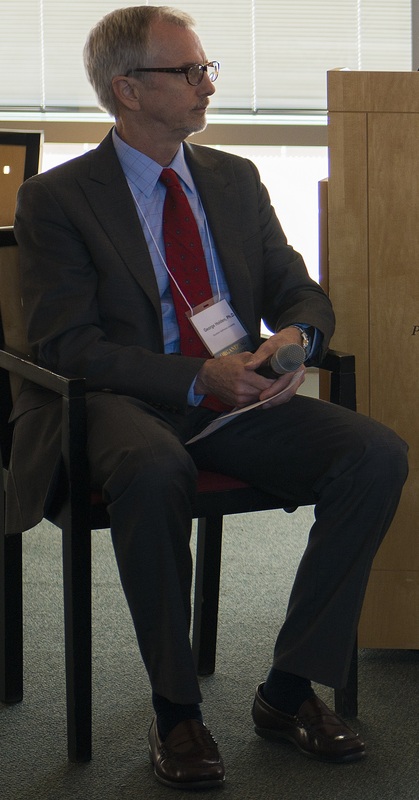 Dr. Noah Sobe, Associate Professor, Cultural and Educational Policy Studies at the School of Education. Dr. Sobe will host Dr. Monisha Bajaj, Director of the Human Rights Education program at the University of San Francisco, as part of a campus workshop, "Education and the Human Rights of the Child." Dr. Daniel Amick, Associate Professor and Engaged Learning Faculty, Department of Anthropology & Institute of Environmental Sustainability at the College of Arts and Sciences. Dr. Amick is seeking to provide English language learning instructional materials to be used by Loyola students in teaching English refugee women and children. Mary Bird, J.D., Director of Public Service Programs at Loyola University Law School. Ms. Bird's project will seek to coordinate Loyola's Street Law program with the recently adopted citizenship curriculum in Chicago Public Schools. Stay tuned for more details about these important programs celebrating children's rights via www.LUC.edu/chrc. We are excited to announce that Dorothy McLeod (pictured left) will be joining the CHRC as a Graduate Assistant. Dorothy is joining us from Boston Children's Hospital where she was a Research Assistant focusing on behavioral and structural interventions to improve children's health. 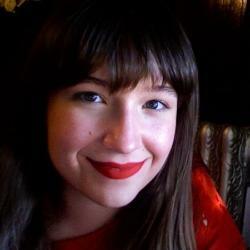 Dorothy graduated in 2012 from Harvard University with a degree in Psychology. 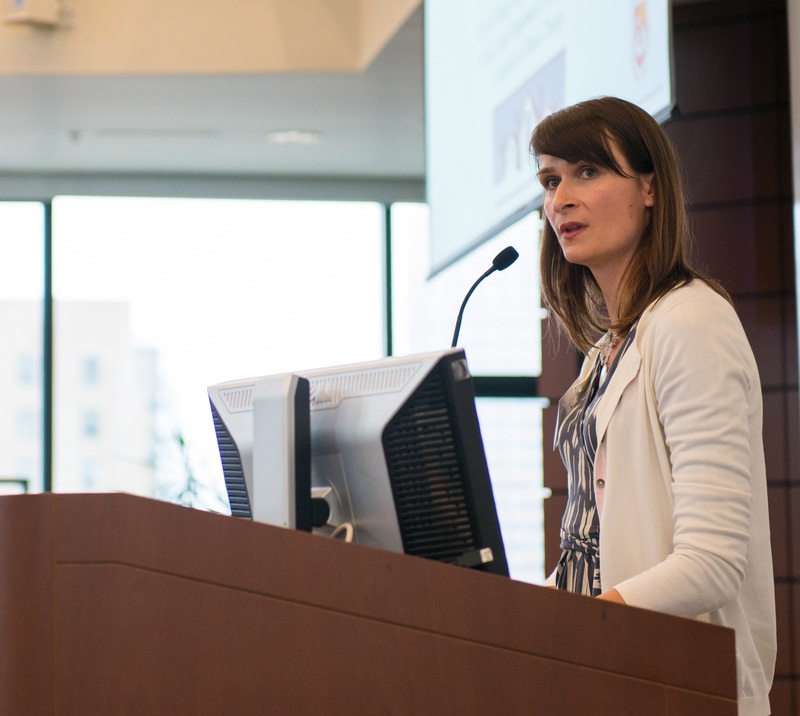 She is first-year student at Loyola's doctoral program in Clinical Psychology. Welcome Dorothy! We would like to extend a thank you to Sara Dakuras (School of Social Work) for her contributions to the Center as she moves on to other internships and professional opportunities. Additionally, we extend our appreciation and gratitude to our 2014 Summer Research Fellows, Jade Gary (School of Law) and Jeanne Murray (School of Law), for their excellent contributions to the CHRC's mission and work this past summer. Jeanne will continue to assist the Center part-time, conducting research and drafting documents to raise awareness on the linkage between environmental factors and the well-being of children through a human rights framework. Nichole Riedel, Administrative Assistant for the CHRC, received her MBA from Loyola's Quinlan School of Business this past spring! Congratulations Nichole! The Center for the Human Rights of Children, founded in 2006, pursues an agenda of interdisciplinary research, education, and service to address critical human rights issues affecting children and youth, both locally and globally. 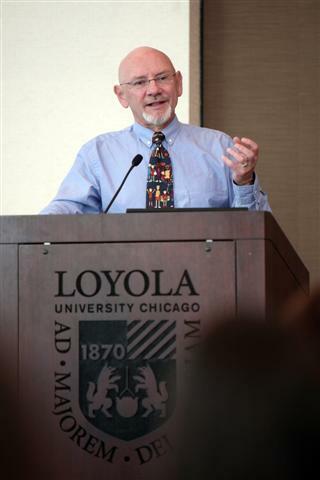 The Center represents Loyola University's efforts to protect and advance the human rights of children through research, scholarship, advocacy, and programs. This e-mail was sent to you as an alumnus or friend of Loyola University Chicago.